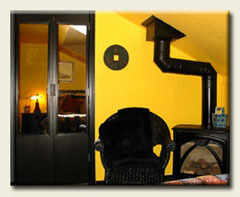 A very Spacious Luxury King Suite with an Outdoor Private Terrace, a Bubbling Hot Tub for Two, Massive Stone Fireplace* and a Romantic Four Poster King Bed. 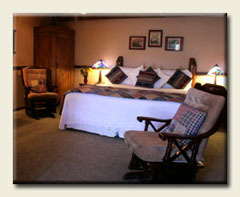 Clock Radios in all GuestRooms. FREE On-Site parking for Vehicles & Lockable Racks for Bikes. 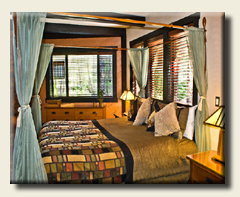 Our policy is intended to be fair to our guests, yet prevent the loss of income to our business. 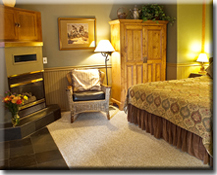 Our location is such that we do not have a large volume of traffic past our exclusive B&B. 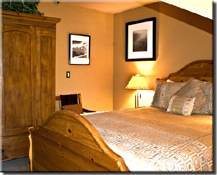 We rent our accommodations by advanced reservations only. 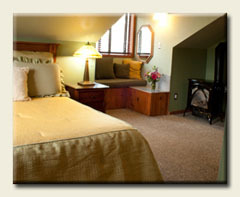 Once we reserve a guest house for you, we remove it from the market, refusing all other requests. A prepayment of 50% of the total booking amount, or the cost of one night's stay, whichever is greater, by valid credit card will confirm your reservation with the balance due 7 days prior to arrival, at which time your credit card will automatically be charged for the balance. For reservations within two weeks (14 days) of the arrival date, 100% prepayment is required. A two night minimum on most weekends and holidays is required. 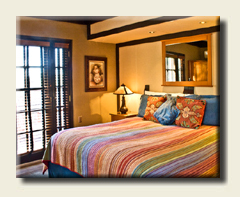 The Lodge at Sedona is an intimate Bed and Breakfast Inn, consequently cancellations affect us significantly. Cancellations made up to 31 days before the arrival date will result in a refund of your deposit, less a $45 (plus tax) processing fee per room. Cancellations made within the 30 day period prior to date of arrival will result in the deposit being transferred to a Gift Certificate that you can use within 1 year minus the $45+tax cancellation fee on a future reservation. Cancellations that are made within 7 days of your arrival date, no refund will be made and you forfeiture of the entire cost of the booking. Trip/Travel insurance is highly recommended. For travel protection insurance, we suggest Access America at 800 654 1908 or www.accessamerica.com or contact your local AAA Travel Agent for specific insurance plans available. 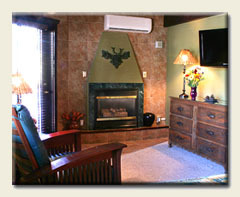 The Lodge at Sedona is a 100% smoke free environment indoors. Guests are responsible for any damages, replacement, additional cleaning, smoking in rooms, spills & stains, or loss caused by guest smoking or any other abuse to our guest rooms and lounges without further authorization. A minimum charge for repairs or cleaning is $250. 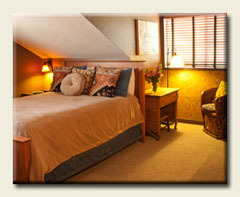 Well behaved, accompanied dogs are welcome in Select Pet Friendly rooms with prior reservations made by phone. Rates are subject to applicable state and local taxes and can change without notice. 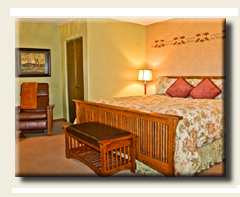 Visa, MasterCard, Discover, American Express and Travelers Checks welcome. We can only accommodate children age 11 and over. Multiple day bookings, promotions, packages may be subject to gratuity, resort fee and taxes, not less than 23.737%. Fees include wi-fi access, community pool pass, discounted gym privileges, yoga classes; can change without notice. 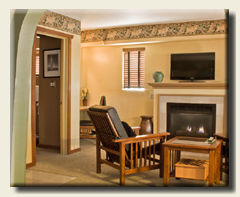 The popular Meadow Breeze Suite (ADA compliant), public rooms, lounges and gardens are wheelchair accessible. 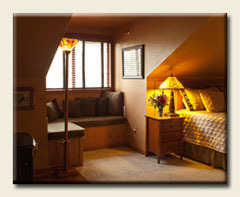 All posted rates are based on double occupancy, with a $45 (+ tax) additional occupant charge in select suites. 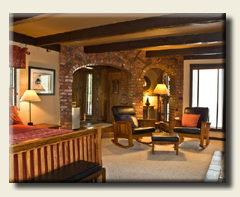 Lodge at Sedona gift certificates are thoughtful and unique gifts for friends, family, or business associates. 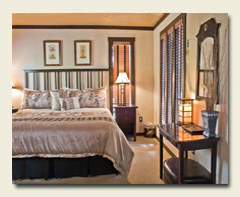 You may select the amount of a one night's stay or any dollar amount covering a multi-night night stay and extra special In Room Indulgences. 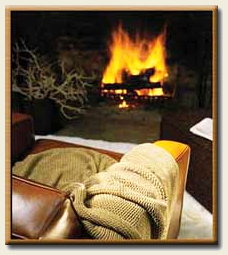 Remember we do require a two night minimum on most weekends. To Order Please call 928.204.1942 or email your requirements and we will promptly attend to all the details. Gift Certificates are personalized and emailed to you or it can be mailed out as well.